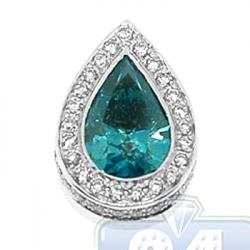 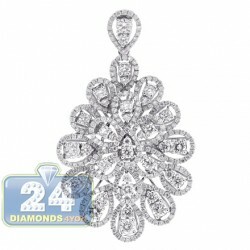 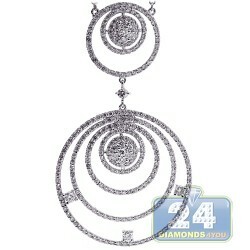 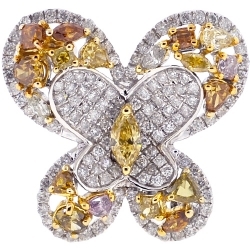 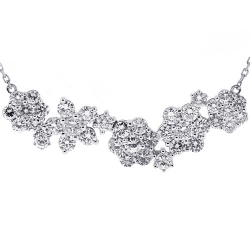 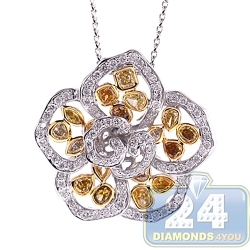 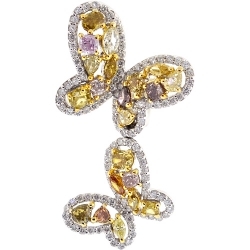 They will never forget when you arrive wearing our breathtaking gemstone diamond pendant! 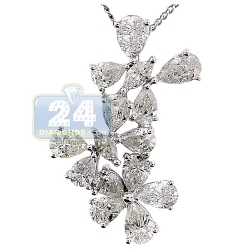 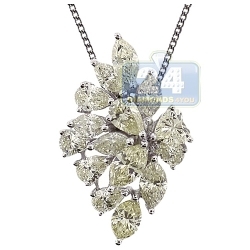 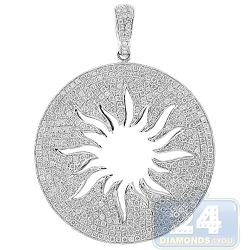 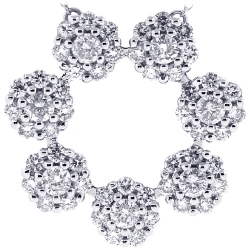 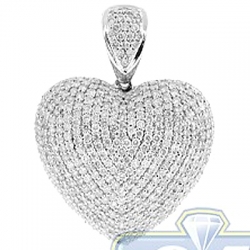 Ably handmade of luxurious 18 karat white gold, it has highly polished white rhodium finish. This women's drop pendant is encrusted with 6.22 carats of radiant-, marquise-cut genuine blue sapphires that highlighted by 0.52 carat of icy white round-cut diamonds. 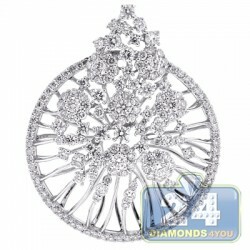 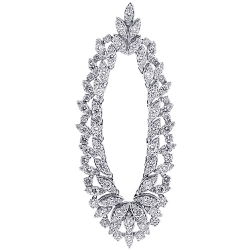 The piece measures 35 mm in dangling length and 20 mm in width. 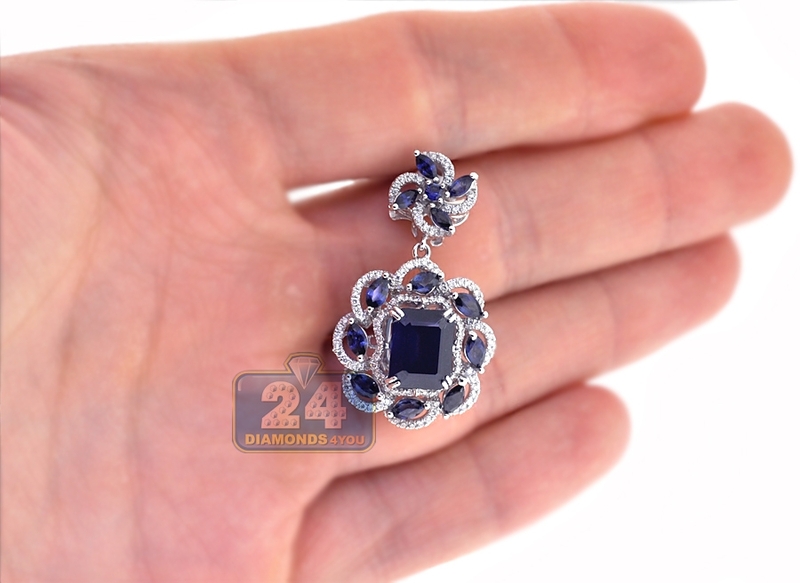 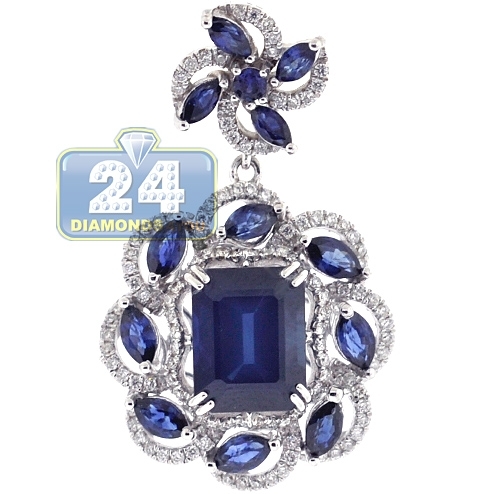 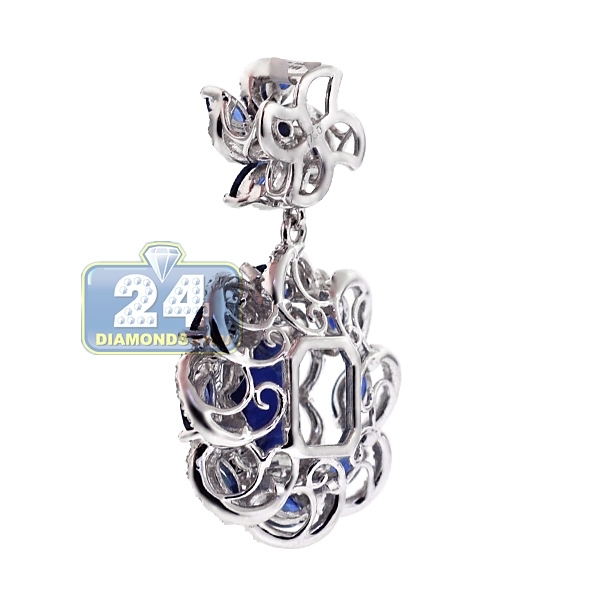 With this blue sapphire pendant you will make an elegant entrance!